Workers have long been the backbone of American society. While worker safety was often overlooked during the Industrial Revolution, over the past 100 years, advancements in work conditions and OSHA regulations have maintained the importance of the American worker while recognizing and supporting the importance of their health and safety to families and loved ones. In the 21st century, these two initiatives go hand in hand moreso than ever before. Today businesses are actually increasing productivity by focusing on trending safety practices. With this in mind, Safety & Numbers invites you to take the opportunity to not only honor the national Labor Day holiday, but also take it one step further by recognizing the importance of workers to your company’s productivity and safety culture. Here are a few ideas to help you accomplish that mission. 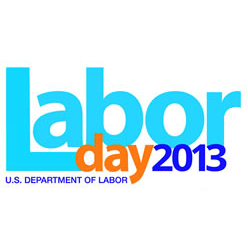 There are certainly many more ways to recognize the importance of your workers on Labor Day. We invite you to share your ideas in the comment section, and have a safe, relaxing Labor Day Weekend!